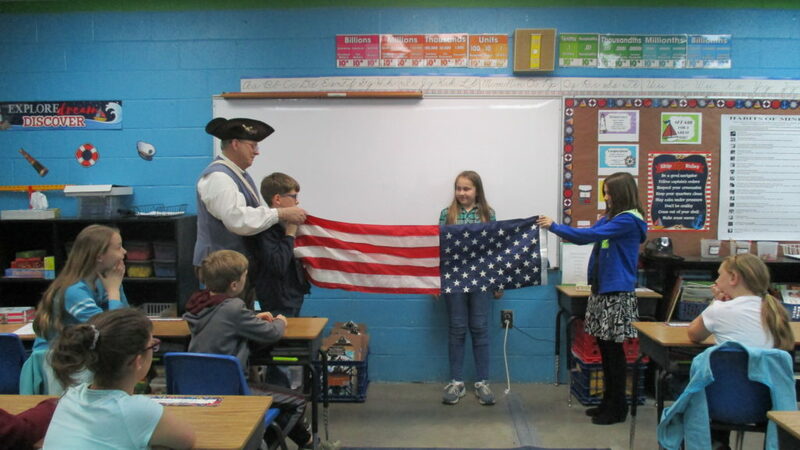 Ken Wilson, a member of the Halifax Resolves Chapter NC SAR, was recently invited to speak to the 5th grade class of Mrs. Valerie Henley at Halifax Academy about U. S. Flag History and Etiquette. After speaking about the origins of the flag and basic rules covering the use of the flag, Wilson explained how to properly fold the flag and the meaning of each fold. Three students were selected to demonstrate how to fold the flag.